After consultation with a panel of highly respected judges, we’re delighted to reveal the IFSEC Global influencers 2018 – security management category. 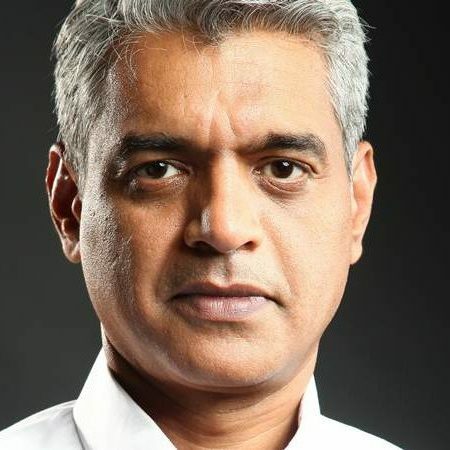 Capt Raghu Raman is a former soldier and founding CEO of National Intelligence Grid (NATGRID), Government of India. In his earlier years, Mr Raman led Mahindra First Choice, Mahindra Special Services Group and Mahindra–British Aerospace joint venture as the CEO. He is a distinguished fellow at the Observer Research Foundation and a frequent guest faculty at several business schools globally. Raghu writes regularly on national security strategy and leadership for leading publications and has also authored a bestseller, Everyman’s War, published by Random House. He is a renowned TEDx speaker and a frequent keynote speaker at national/global forums. He is responsible for assuring security to India’s largest private sector organisation with a turnover upwards of $60 billion. “It is almost impossible to ensure 100% security by just following a linear security model. Under the leadership of Capt Raghu Raman, Reliance Global Corporate Security (GCS) pursued an ambitious security turnaround plan – Blended Security Framework – that created a pivotal change in RIL’s security posture. This model has three major thrust lines: 1. De-Risking Strategies GCS conceived and implemented the ‘Blended’ Security Framework which is a fusion of the technology components, networked intelligence and relationships with external assets that leverages the ‘hard’ security framework as its core. “These projects have not only strengthened RIL security posture but also lowered the insurance premiums for critical assets. 2. Talent transformation and Learning Culture Agile organizations built around empowered teams are best geared to combat the future. This is achieved through constant learning and a trust-based culture. GCS has revamped its Security Academy that delivers cutting edge content through faculty, Army Generals, Business Leaders, et cetera. GCS leadership agenda has aimed at and achieved the following key priorities: 2.1. Getting the right people to deliver on top priorities; 2.2. Creating a sustainable organization that develops the next generation of leadership; 2.3. “Axel has been a fervent advocate of developing young professionals who can ultimately advance to the CSO level. As the current President of the CSO Center for Leadership & Development (of ASIS), he has refocused the organization on delivering value to the membership. 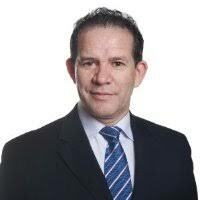 His priorities are deputy development, internationalizing security, and making security a trusted advisor to business. He frequently gives back to the industry by presenting at events around the world, sharing best practices, and encouraging colleagues. 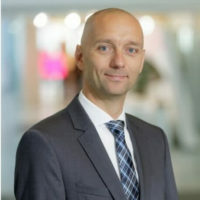 As SVP Group Security Governance, Deutsche Telekom AG, Petri is responsible for ensuring the holistic and group wide security approach. This contains strategy, regulations, and control in all security domains as well as steering the groupwide cooperation of all security departments. Responsible for the management of the Corporate Security team, focused on the protection of the assets – units (Factories and CDs), executives, events and logistic security. Planning and cascading activities for the development and implementation of safety culture (zero accidents), projects of electronic security systems, internal investigations and contacts with public security agencies. Prior to the acquisition of Brasil Kirin, he was responsible for the management of the Business Security, Corporate Services (Facilites) and Fleet teams. In the area of ​​Business Security, he implemented the Emergency and Security Center with policies and procedures aligned with the global area of ​​the company (The Netherlands). Adauto Lopes is a security professional with more than thirty years of experience. He developed his career in the area of ​​shopping center security in Brazil, specializing in this important segment. Always attentive to the global market and seeking constant innovation and with the focus that Security goes far beyond protecting people and property of other people, it is also related to ensuring that accidents and incidents are prevented by promoting well-being, even if people are not attentive to this. Faced with this thought, together with its team, put the provision of the Brazilian market the most modern in operational solution. Thus, it developed SEG ERP software, an innovative, exclusive and simple operation solution that in real time alerts managers to possible abnormalities and occurrences. This management platform has been making its clients more efficient and more controlled. The platform has six applications for inclusion of remote occurrences, optimizing security management processes. Mike is the Head of Business Security at Barnsley Hospital & BFS. Mike heads the Trust Business Security Unit (BSU) as the strategic deliverer of protective security and has also the responsibility for the uniform security team (total staffing 14) in a hospital that serves a population of approximately 250,000 people, with circa 380 beds and built in the 1970’s which poses problems for any security improvements due to legacy asbestos installations. The Surveillance Camera Commissioner’s full certification for 5 years as the first NHS organisation in the UK for the collective use of camera drones (UAVs) on site, CCTV and body worn video for security. He is a fully qualified drone pilot. Safer and more in-depth procedures for lone working which ensures true supervisory engagement. The introduction of a ‘Let Us Know’ (LUK) confidential reporting line related to security issues. In 2013 the hospital were recognised in a prestigious awards scheme run by major security firm Securitas. The hospital was highly commended in the Securitas Community Awards 2013 in association with IFSEC Global.com in the Good Customer Award category, which recognises customers of Securitas who demonstrate their commitment to the continuing improvement of quality in security services. At the awards Mike said: “We have been working in partnership with Securitas to make sure that security has a high profile in and around the hospital, and that people recognise the crucial role it plays in the hospital’s day-to-day running – for example deterring crime, keeping staff and patients safe, protecting physical and intellectual property, and managing the car parks. The award recognised the great work they do.” The current security team, provided by G4S, is fantastic and every day keeps thousands of people as safe as possible and helps to keep hospital activities running smoothly. Until recently Mike volunteered as the Event Safety Director of ‘Music in the Gardens’. He coordinated the planning, setup, stewarding and event control of a four-day music festival (held in July in Sheffield’s Botanical Gardens). He now fully supports Barnsley Hospital Charity. 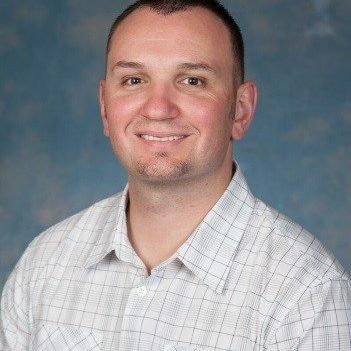 Mathieu Bissonnette is the current Manager of Security and Parking Services at the Children’s Hospital of Eastern Ontario (CHEO) in Ottawa, Ontario Canada. Mathieu is an Honors graduate of the Algonquin College’s Police Foundations Program, and has continued his education in hospital administration through the Telfer School of Business, as well as in CBRNE Threats and Countermeasures. He recently received his Certified Healthcare Protection Administrator (CHPA) designation through the International Association for Healthcare Security and Safety where he also serves as the Ottawa-Carleton Chapter Treasurer. Being involved in numerous high risk incidents and City wide emergencies over the course of the last 18 years, Mathieu has had the opportunity to witness and participate in the evolution of Healthcare Security in Canada. Over the past few years Mathieu has been working closely with peers, law enforcement and other public safety partners in revamping standards and responses for current and frequently changing modern security concerns within our society. Mathieu is currently focusing his efforts on workplace violence and other related staff safety topics. “In February 2018, Mr. Bissonnette addressed Healthcare Security Leaders, Security Experts, Ontario Nursing Association (ONA) and Canadian Union of Public Employees (CUPE) with an enlightening presentation called “Drug Diversion, a contemporary look at an old problem in Canadian Healthcare”. This next level presentation traced pharmaceutical shrinkage from large pharmaceutical warehouses to the waste management rooms within our facilities. Since then Mr. Bissonnette has been contacted by various healthcare entities to speak as a subject matter expert in this field. 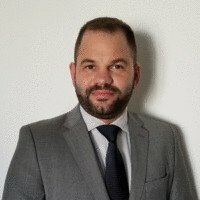 With a burgeoning speaking and thought leadership career to complement his extensive security risk management portfolio at EY, which spans 440 individual EY locations across EMEIA, Richard has made a concerted effort to share his commercial and military expertise, honed at both EY, and as the Officer Commanding 43 Military Intelligence and Security Company; the largest security Company in the British Army. In addition to advising a large number of ex-military personnel looking to transition into the security industry, Richard is a keen supporter of the ASIS Young Professional Network and the Security Institute. Richard’s philosophy of professional development has seen him complete his Masters Degree in Security Management (Loughborough) and apply to join the register of Chartered Security Professionals. This focus upon Education and Professional Development led Richard to accept an invitation to join the ASIS UK Chapter Operational Board, as the Education and CPD member. Richard also organised the 2018 ASIS UK Chapter Spring Seminar, where he provided a range of thought provoking speakers showcasing the disruptive role that future technology will have upon the corporate security world. In 2008, Sean began a quest to implement an innovative concept of DVR remote monitoring to assist with the investigation of incidents, compliance of corporate policies and the proactive approached to reducing loss, while enhancing a safe environment for both our employees and customers. Sean approached the IT Department to get their input and overall by in of this proposed initiative. After numerous meetings a three month extensive test phase commenced with the DVR unit selected to achieve the intended goal. 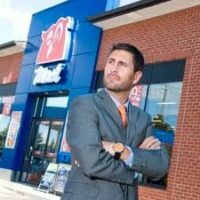 Sean worked closely with IT to ultimately achieve a successful operation to gain remote access to each of 740 stores in Central Canada and 305 stores in Western Canada. “Since the implementation we have exposed areas of concern that we knew existed but were difficult to measure in the past; we have since been able to implement protocols to reduce and in some cases eliminate these incidents from re-occurring,” wrote the Circle K employee who nominated him. “Since 2009, we have seen a reduction in overall shortage from 2.1% to 0,5% and a 42% reduction in WSIB claims. A documentary was made about the programme. “After seeing an increase in youth related incidents at our stores he had an idea of developing a positive youth program to help build relationships of trust between CircleK, youth and police; while reducing incidents of crime in our stores. This was based on the simple philosophy that recognizing and rewarding youth for good behavior will inspire and motivate others to follow suit. So, in 2007 Sean developed a Positive Ticketing crime prevention initiative, dubbed Operation Freeze and Operation Heat – which are simply coupons for free beverages (Frosters in the summer and a selection of hot beverages in the winter months) given to Police Officers to issue youth observed engaging in good behavior. Since the introduction of the Mac’s Positive Ticketing Program, more than 1.3million Operation Freeze and Operation Heat coupons have been strategically issued by police to recognize and motivate Ontario’s youth for positive behavior. A Harvard Business Review is currently underway on what Sean has developed at CircleK – two reviews were released in November 2017. Sandra Cowie is Director of Global Security & Business Continuity at Principal Financial Group. She is one of the few C-Level security executives employed at a Fortune 500 company and been with the security group approaching 30 years. Founded in 1879, the Principal Financial Group is a global investment management leader. Principal offers business, individuals and institutional clients a wide range of financial products and services including retirement, asset management and insurance, through its diverse family of financial services companies. A member of the Fortune 500, the Principal Financial Group has $516.2 billion in assets under management, serves some 20.6 million customers worldwide from offices 18 countries throughout Asia, Australia, Europe, Latin America and the North America and has 14,800 employees worldwide. As part of her responsibilities, she oversees site and personnel security/safety and business continuity globally for the company, including investigations, access control and physical security planning, executive protection, intelligence, emergency management and two global emergency response centers. Sandy began her career at Principal spending over 10 years in the Retirement Investor Services division managing pension plans and leading teams who managed plans. 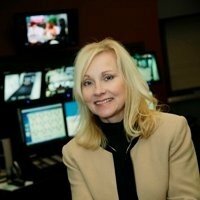 She has been in the security management field since 1993. Her education and experience have been focused primarily in the fields of management, finance and security with over 25 years experience in these areas. In addition to being Board Certified in Security Management, she has received specialized training in work place violence, advanced threat assessments, bomb incident management, domestic abuse issues and a number of other security and safety specialty areas. She has conducted training and presentations on a variety of security and safety topics including personal security and safety, work place violence and the impact of domestic violence in the workplace. Active and recognized in the security industry, Sandy has served on the board of directors of ASIS International (a security association with over 32,000 members); currently sits on the ASIS Foundation Board of Trustees; is a member of ISMA (Fortune 500 CSOs); the CSO Roundtable; and serves at the request of the Secretary of State on the Executive Working Group of the Overseas Advisory Council addressing security issues of U.S. companies doing business globally. An advocate for public private partnerships, she was a founding member of Safeguard Iowa Partnership and served on the board and several leadership positions in the organization. David Clark CPP PCI PSP has held several senior corporate security positions. His latest role is Head of Security for the Francis Crick Institute, a globally renowned unique scientific research centre in London. 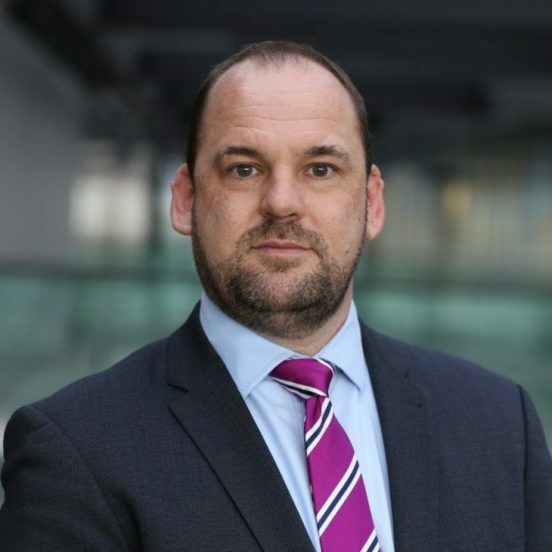 He is also Chair of ASIS UK Chapter 208, a member of the CSO Roundtable and Association of University Chief Security Officers (AUCSO), and is Chair of the Project Griffin Practitioners Board and Chair of the Security Commonwealth on behalf of ASIS UK. 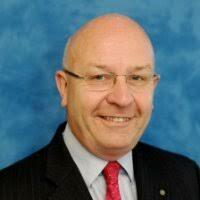 “David Clark CPP PCI PSP has been in the security industry for 24 years since leaving the army. He has held a number of senior security positions; he is currently Head of Security for the Francis Crick Institute, a globally renowned unique scientific research centre in London. Previously, David has led on a number of Policing and Counter Terrorism initiatives in London’s South Bank and in recent years has designed and implemented executive protection and physical security programs for major companies in the UK and overseas. Among his senior positions David is Chairman of ASIS UK Chapter 208, a member of the CSO Center, a London First SRN advisory board member, Chair of the Project Griffin Practitioners Board and Immediate Past Chairman of the Security Commonwealth. David is also a member of the SIA strategic forum, a member of AUCSO, PISF, the Association of Security Consultants and the National Griffin Executive. 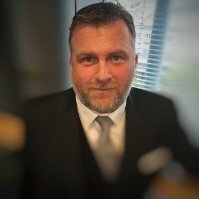 “David remains the only security practitioner in the UK, holding all 3 ASIS Board Certifications, CPP for strategic security management, PCI for investigations and PSP for security systems. As Chapter Chair, David has continued to develop and modernise ASIS UK to strengthen its position as the UK’s premier security membership organisation and to further establish the Chapter’s reputation on the international stage. David handed over the reins of the Security Commonwealth in September 2017 after a two-year tenure and remains on the Strategic Board of the Security Commonwealth as immediate past Chair. The Security Commonwealth has grown in size and stature under David’s leadership and continues to do so. “David has restructured the Project Griffin Practitioners Group to align with the CSSC structure for providing rapid counter terrorism advice, each region now has its own police and civilian practitioner leads which has streamlined and sped up the process for ensuring that as many citizens as possible have easy access to counter terrorism awareness programs. At his day job as Head of Security for the Francis Crick Institute, David has this year led the organisation to a unique ‘triple crown’ of organisational Security awards and accreditations, namely, the Building Security Award from the City of London Police, Secured Environments award from the Metropolitan Police and the British Standard for Strategic and Operational Security Management (BS 16000: 2015). This has set the bar incredibly high for other organisations in the UK and sets an example of what can be achieved if excellence in security and safe and secure environments in the UK are to be achieved.